We have an exciting list of new features to share! 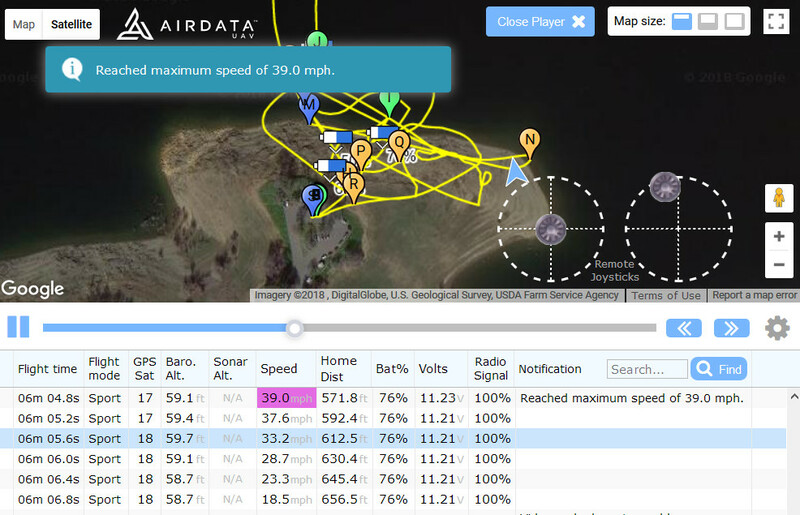 Replay your drone flights in Airdata with a great level of detail! We got many requests to enrich our CSV, so we did! We added new fields such as Satellite gpslevel (how strong the GPS reception is, ranging 0-5), Battery current (amps used) and the IMU x/y/z speeds (speeds on different axes). 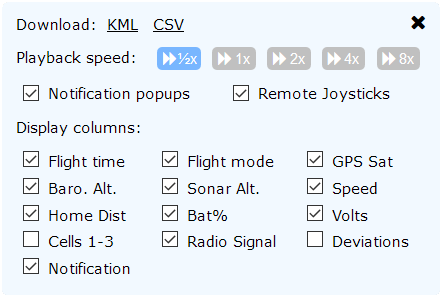 The Message column will now also include the non-GPS cause (such as "Speed Error", "GPS Mismatch", etc.) as well as the data recorder file index (tells you what the DAT file index is on the aircraft), return to home altitude, maximum height set in the app, and much more. 4. GPX format is now available! GPX format is now available! This format can be imported into various 3rd party apps such as Google Earth and Garmin Connect. Click here to learn how to open the GPX file in Google Earth. We added a new, easier way to examine the maintenance per equipment. 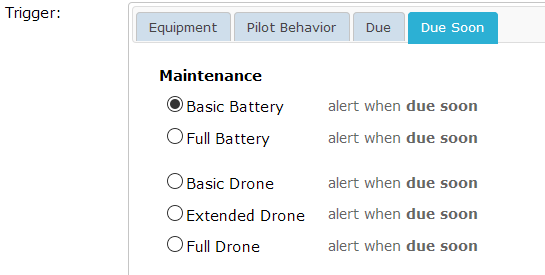 Instead of going to the maintenance section, you can go to a specific drone or battery, and click the SERVICE tab. You can also click the History tab to view the past maintenance items for this equipment. Maintenance is available in the HD 360 Gold plan or higher. Airdata now supports the Yuneec H520! Upload your ".utm" and ".sky" log files so you can manage all of your flights in one place. Click here to learn how to upload these flight logs. You can now upload regulatory certificates, authorizations and other documents per pilot as well as per flight. Specify expiration dates for easy tracking. Many countries require pilots to fly regularly in order to maintain their licenses. 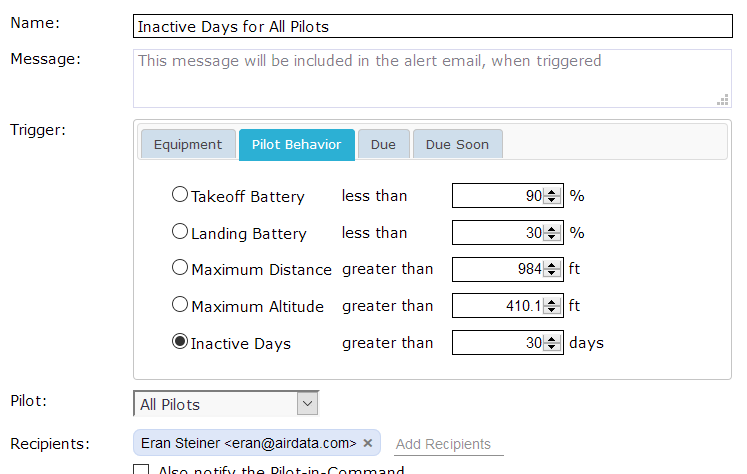 You can now set warnings and alerts if pilots did not fly for a speficied number of days. In addition, you can now set alerts for when equipment maintenance is "Due Soon", in addition to when it's already "Due". 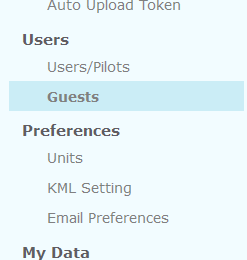 To view/manage your guest pilots, visit the My Account / Guests page. To add a new guest pilot, simply pick a flight, go to General -> Details, Add Flight Participants, then start typing a new email address (see screenshot below). Check out https://app.airdata.com/current-coupons for a special coupon code! Thank you for all of your feedback and support. Absolutely these new features are cool! I found it helpful to me as a hobbyist and at the same time a traveler. Hi, I am new to this drone society, I have seen in the first feature on the picture that it shows directions. My question is, does this software can be a tracker? What is the difference between this software and a tracking device? Hi, we use the flight log file from the tablet you fly with, so it's very similar to a tracker, although we do not require any additional hardware. Please sign up for a free account and give it a shot! Hello Eran, Does it have real-time tracking? Just like any of those tracking devices? I have with me my Phantom 4 Advanced I badly need to secure my drone because it takes me years to buy a new one. The money that I used to buy this drone is from my extra savings so it is hard for me to lose my drone. I maybe invest for a tracker. Hi, as far as I know, this will only store your flight data/flight logs and the good thing is you can easily review your flights, the place and the directions of the flight done on a specific date, also the condition of your drone in your flight and after the flight but not like a tracking device that has real-time tracking or live tracking. I think investing for a tracking device is not bad it is for your own sake, safety, security and satisfaction. Not bad Noir, In fact, I am using both, the Airdata and a GPS device or should we call it GPS tracking device of trackimo. Weird right? but this will guarantee me the safety security of my drone. Hi Roger, please see https://app.airdata.com/sync-app and specifically https://app.airdata.com/sync-app-crystalsky . I hope this helps!